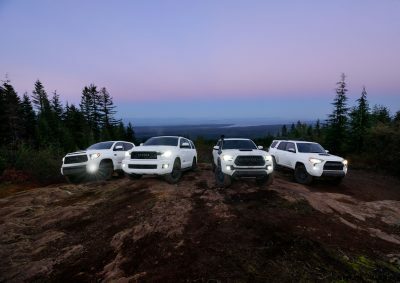 Toyota’s TRD Pro lineup has always been defined by three iconic entries (Tacoma, 4Runner and Tundra) and while these three each bring something unique to Toyota buyers. 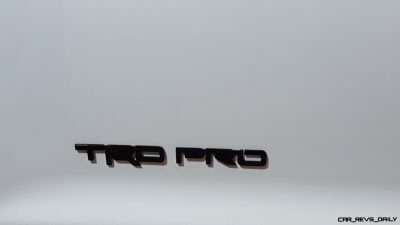 (we will be spending time behind the wheel of the Tundra TRD Pro after we return to Metro Detroit) Something always seemed to be missing. 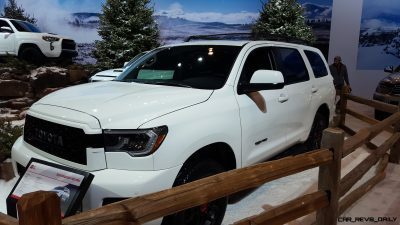 Toyota has filled this void by unveiling the all new Sequoia TRD Pro which brings some of the TRD Pro allure in a decidedly beefy full size SUV package. The Sequoia’s entry into the TRD Pro ranks was designed to help give the nearly 20 year old model some newfound relevance especially in the wake of other full size SUV entries that have long since lapped it when it comes to technology, refinement, and sales. 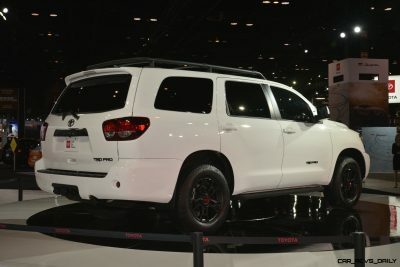 Unlike the Tacoma and 4Runner TRD Pro, the Sequoia’s exterior enhancements are a bit more subtle, and mirror the equally subtle Tundra TRD Pro. 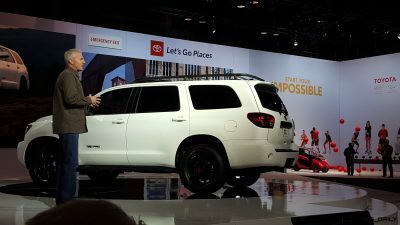 In the Sequoia’s case, its normally chrome grille is swapped out for a black finished one featuring prominent “TOYOTA” lettering, while the stock halogen headlights get swapped out for LED units. The foglights also get swapped with new LED units from Rigid Industries. the trademark BBS wheels also carry over, and they really work in sync with the Super White paint scheme on the rig Toyota rolled out. 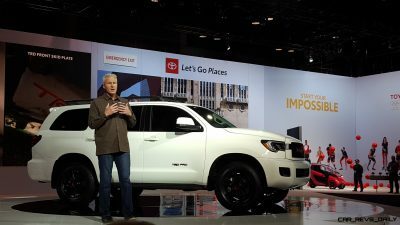 Speaking of paint, the Sequoia TRD Pro will only be available in four colors (the fore-mentioned Super White, Army Green, Magnetic Metallic, and Midnight Black Metallic. 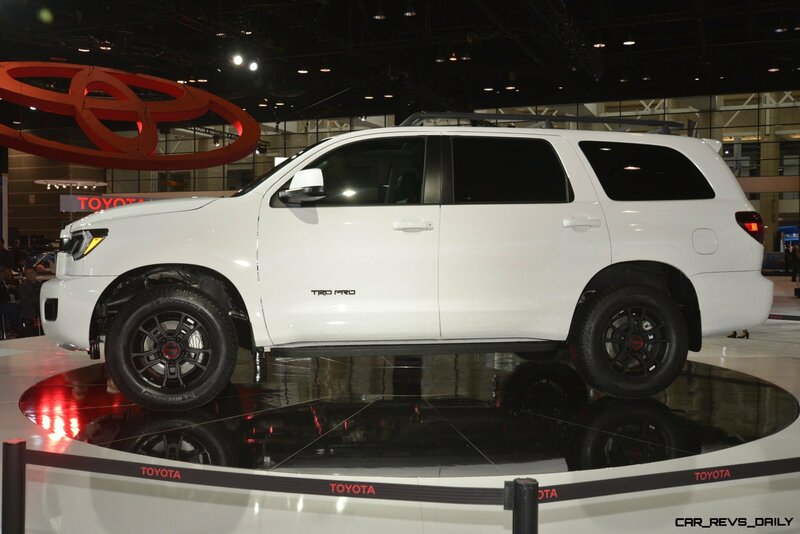 Per the norm with other TRD Pro models, the Sequoia also gains TRD standard goodies including a front skid plate, cast aluminum running boards, and even a TRD Pro themed roof rack. 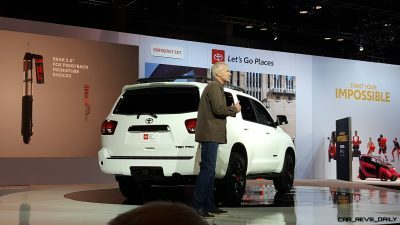 The interior of the Sequoia retains a lot of its functional albeit aging proportions, but the Sequoia (along with the rest of the TRD Pro range) will get an all new infotainment system that features a bigger screen than before, as well as the addition (at long last) of both Apple CarPlay and Android Auto compatibility. The system also can work with Amazon Alexa, but while the other TRD’s get an eight inch screen, the technologically older Sequoia makes do with a slightly smaller seven-inch screen. 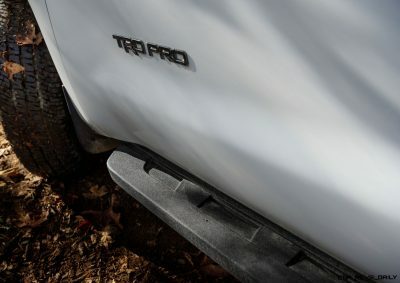 The TRD treatment also extends to other areas of the interior, with the Sequoia gaining TRD badged floormats, and new leather seats that feature prominent TRD Pro logos stitched into the headrests. While these minor tweaks do help give the Sequoia a fresher look, we look forward to the day when the Sequoia will receive the extensive exterior and interior updates that it so rightfully deserves. 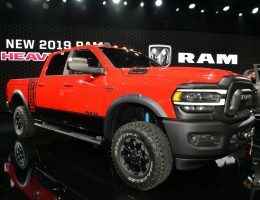 Performance hardware is also carried over from the past, with the Sequoia retaining its 5.7 liter naturally aspirated V8. 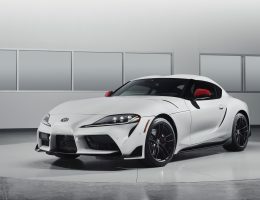 Good for a healthy 371 horsepower and a stout 401 lb-ft of torque, the engine is largely unchanged, and is mated to an equally untouched six speed automatic, but TRD does give buyers the option to make it sound a bit better thanks to an optional cat-back exhaust system. The Sequoia also retains its hauling manners with this iteration still retaining its impressive 7,100 lb towing capability as well as its extensive suite of towing assist features including an integrated trailer hitch receiver, as well as trailer sway control. 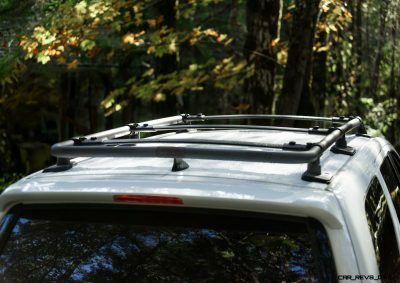 Like other modern Toyota offerings, the Sequoia come standard with Toyota’s Safety Sense P system. 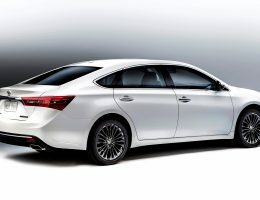 which bundles items such as pre-collision warning, adaptive cruise control, automatic braking, and a lane departure warning system. 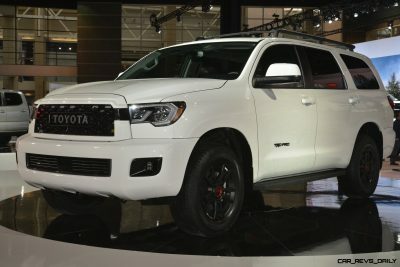 Toyota did not reveal final pricing for the Sequoia TRD Pro, but look for more information to be revealed closer to its official launch, with the first deliveries expected to take place later this year.